Notwithstanding the Saffron colour and the slogan of Hindutva, the Bharatiya Janata Party and the Shiv Sena were never on the same page. Even that colour and the Hindutva had different connotations. And yet, both the parties were together for over 25 years, and who knows, the marriage could survive even longer, despite the violent split now. They have separated (actually, for the second time in three years), but are not divorced as yet. The divorce depends on many other factors that have nothing to do with the colour of the flag they uphold or the ideology of Hindutva that they claim brought them together. Both parties are cautious and also self-conscious of the fact that divided they fall and united they fight with each other more fiercely than with the Opposition. So the question for them is whether to fall and force a mid-tern poll in the state or wait till the Brihanmumbai Municipal Corporation (BMC) election results are out on 23 February. Only after the comparative seat positions are clear will they decide whether or not to come together in a "live-in" relationship, with a "forget, but don't forgive" attitude. 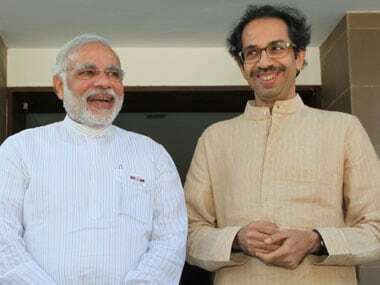 The Sena and the BJP marriage was always on the brink. The existential political reality that prevailed in the mid-1980s had first brought them together. After the collapse of the Janata Party in 1979, the Jan Sangh was forced out of the anti-Congress coalition and Indira Gandhi staged a stunning comeback in 1980. The frustration loomed large across the Opposition spectrum. This was the backdrop for the formation of the BJP. 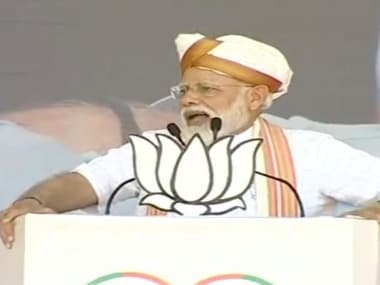 The use of "Janata" appeared to be a pretence that the party carried the legacy of Jaiprakash Narayan movement and the term "Bharatiya" was used to signify that it would carry forward the politics of "Bharatiya Jan Sangh". But it was a lonely corner. Even the identity politics of the "Marathi manoos" had lost its sheen to the reemergence of the Congress under Indira. The year 1984 was even worse. The Rajiv Gandhi-led Congress won a historic 414 seats in the Lok Sabha and the BJP could win only two. Even Atal Bihari Vajpayee had lost to Madhavrao Scindia in Gwalior. No other party was keen on an alliance with the BJP. The Shiv Sena, under the leadership of Bal Thackeray, sensed a political opportunity in that adversity. Pramod Mahajan, another Maharashtrian, and Thackeray discussed their parties' mutual loneliness and the idea of Hindutva, they felt, could be used as a common plank. But ironically, the BJP had adopted the ideology of Gandhian Socialism, partly as a tribute to the Gandhian leader, Narayan, and partly as a constitutional propriety. Neither the RSS believed in this fig leaf, nor the Shiv Sena. But the realisation that if they did not come to some understanding, their political existence was at stake — never mind, coming to power — brought them together. And in the 1989 Look Sabha election, they allied to benefit mutually from exploiting the Bofors and Ayodhya campaigns. Rajiv had committed a faux pas in 1986 by reversing the Shah Bano judgment of the Supreme Court through Parliament. It was seen as a bizarre surrender to 'Mullah-Maulvi' blackmail. Despite this saffron treaty, the BJP and the Sena could not agree on supporting the VP Singh government in 1989. Thackeray was a strident critic of Singh, and the BJP had supported his government from outside. But the politics of Hindutva had become particularly vocal and violent since the Ayodhya movement forcefully started in 1987. The Sena saw the mood and strategically decided to transcend the politics of the Marathi manoos and tackle the politics of militant Hindutva. That, at once, united them with the radical Hindu elements in the BJP. LK Advani and Mahajan represented that line while Vajpayee played the centrist-moderate role. (It must not be forgotten that Vajpayee never joined, nor endorsed, the Rath Yatra, launched by the VHP-BJP, with Advani in the chariot, a year later in 1990). However, it is necessary to take into account the "class" divide that separates the two Hindu parties. The Sangh Parivar is rooted essentially in the urban, upper caste, middle class with white collar jobs. The Shiv Sena, on the other hand was born on the streets, with neo-unemployed lumpen and disgruntled Marathi working class. Loose parallels can be drawn here with Donald Trump's social base and White America's frustrations. Not only violent language, but street violence came naturally to the Shiv Sainiks. 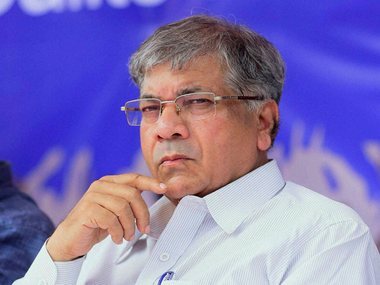 The Sangh Parivar could not publicly support that sort of politics. But it soon realised that its "safe and sophisticated" politics would get muscle power by aligning with the Sena. The Sangh thought of itself as cerebral strategists and the Shiv Sena as muscle power. Thackeray was always aware and angry with the "hypocritical" BJP leadership that "looked down" upon his followers. He often ridiculed Sangh politics of keeping away from the ruckus. The Sena had organised the textile workers, following the collapse of communist trade unions. The BJP had no base in that class. Its core support came from white collar employees and the trading community. There was this undeclared "class war" within the saffron alliance. Even in the present break-up, one can clearly see this "class tension". But how far will the split go? 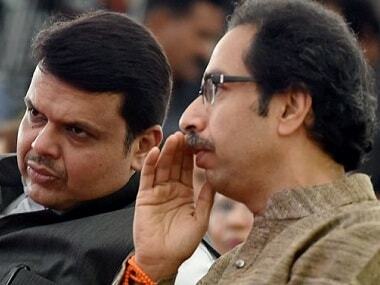 If the BJP wins more seats than the Sena in Mumbai, there will be pressure within the Sena to "forget" the electoral battle and come together to save "Hindus". If, on the hand, the Sena wins more seats, then it will be a victory of the Marathi manoos rather than Hindutva. One can only hazard a prediction that nobody will get majority on their own. In that hung scenario, the saffronites will come together. However, nearly three weeks later, if the BJP suffers a setback in Uttar Pradesh and Punjab, then the Sena will become emboldened with the backdrop of more seats in the corporation. It can then withdraw support to the state government and force a mid-term poll. The skullduggery of the NCP led by Sharad Pawar to support the government from outside cannot keep the government afloat for long. The NCP's social base is the Maratha community, which is already in the mood of uprising. Pawar's party cannot support a Brahmin chief minister for even six months. Modi may have tried to woo Pawar by honouring him with Padma Vibhushan, mainly to neutralise his party's hostility towards Chief Minister Devendra Fadnavis. But the tectonic movements in society cannot be tackled by clever moves like this. 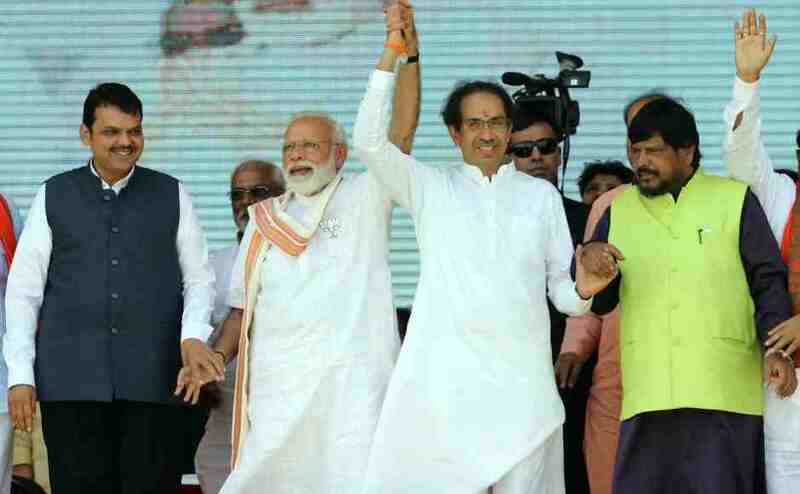 One thing is for certain, the Sena-BJP split, if taken to its logical conclusion of withdrawing from state and Central governments, will have far reaching consequences on the politics of the next three years and even beyond.